Energy Transition Public Feedback starts today and lasts until 4 March 2019! The online Public Feedback of the Energy Transition Partnership kicks-off today and will last until 4 March 2019. This would be a unique opportunity for the public to contribute to the five draft actions from the Draft Action Plan. To read all draft actions in full detail, please consult the draft Action Plan. 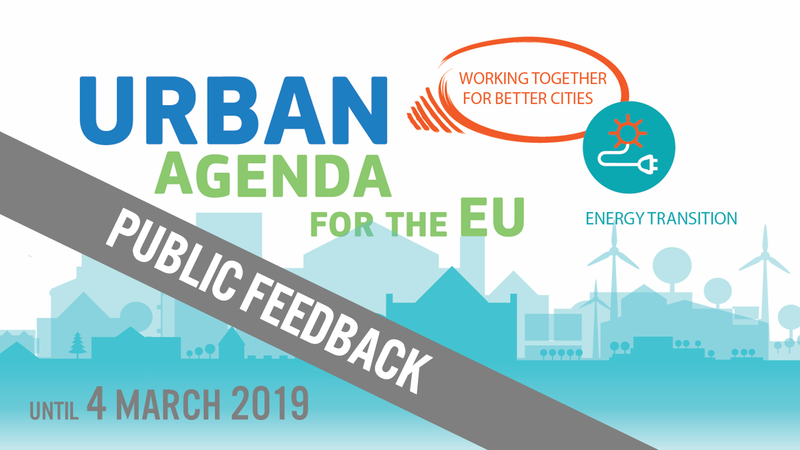 Have your say on the Energy Transition actions and join the Public Feedback until 4 March 2019! IMPORTANT: Join the Public Feedback by choosing one of the actions above or via the "Introduction to the Draft Action Plan" article. In the Action Plan section (the top menu of this page), you will find five draft action descriptions available in English. These articles contain buttons to allow you to give your feedback. You can give feedback on one or more actions, preferably in English, but other languages are also welcome.